As a result of increasingly stringent environmental regulations being imposed on the automotive sector, ecofriendly alternative solutions are being sought through the use of next-generation bioplastics and biocomposites as novel vehicle components. 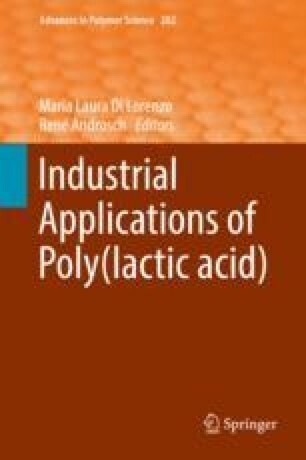 Thanks to its renewability, low cost, high strength, and rigidity, poly(lactic acid), PLLA, is considered a key material for such applications. Nevertheless, to compete with traditional petroleum-sourced plastics some of the properties of PLLA must be improved to fulfill the requirements of the automotive industry, such as heat resistance, mechanical performance (especially in terms of ductility and impact toughness), and durability. This review focuses on the properties required for plastics used in the automotive industry and discusses recent breakthroughs regarding PLLA and PLLA-based materials in this field. LAMIH authors are grateful to CISIT, the Nord-Pas-de-Calais Region, the European Community, the Regional Delegation for Research and Technology, the Ministry of Higher Education and Research, and the National Center for Scientific Research for their financial support. UMONS and Materia Novaauthors are grateful to the “RegionWallonne” and the European Community (FEDER, FSE) in the frame of “Pole d’ExcellenceMateria Nova” INTERREG IV—NANOLAC project and in the excellence program OPTI2MAT for their financial support. CIRMAP thanks the “Belgian Federal Government Office Policy of Science (SSTC)” for general support in the frame of the PAI-7/05. J.O. thanks F.R.I.A. for its financial support thesis grant. J.-M. Raquez is a “Chercheur Qualifié” by the F.R.S.-FNRS (Belgium).